Able to operate completely fanlessly within a robust chassis, the VIA AMOS-3003 provides customers with an embedded IoT system that delivers all the latest features and digital media standards required in data collection terminals for fleet and delivery management as well as machine to machine controllers and for automation applications. Comprehensive I/O functions on front, left side, and rear panels make the AMOS-3003 a flexible solution for a wide range of embedded applications. Solution packs are available for Microsoft Win7 / WES7 and Win8, as well as Linux. Customers can take advantage of VIA�s industry leading hardware and software support, including our SMART ETK (Embedded Tool Kit) to create customized designs with a quick time to market. With a compact ruggedized design, rich networking connectivity options and a host of extendable I/O options to connect peripheral devices, the VIA AMOS-3003 provides an ideal solution for data collection terminals in fleet and delivery management. 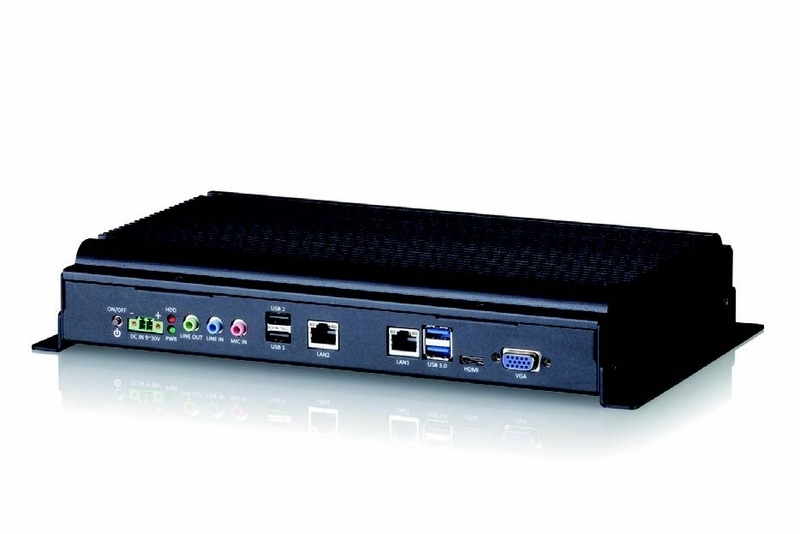 The VIA AMOS-3003 also supports Wake On LAN (WOL) and pre-boot execution environment (PXE) support allowing you to create a host of remotely managed IoT devices for almost any environment.